Powers, R. & Blubaugh, W. (2005). Technology in Mathematics Education: Preparing Teachers for the Future. 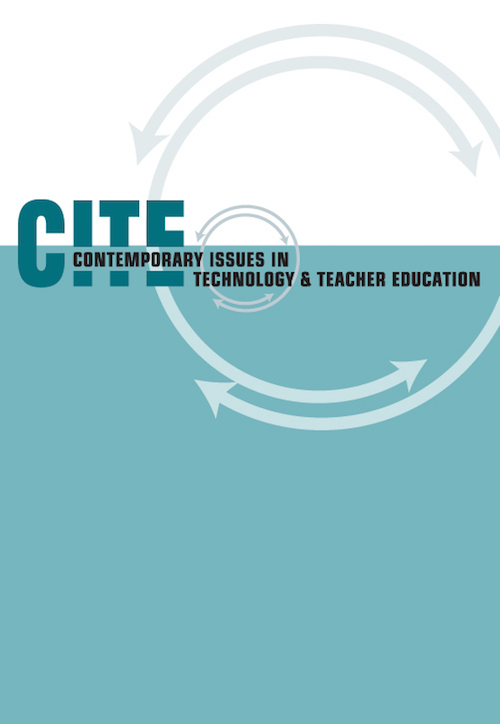 Contemporary Issues in Technology and Teacher Education, 5 (3), 254-270. Waynesville, NC USA: Society for Information Technology & Teacher Education. Retrieved April 23, 2019 from https://www.learntechlib.org/primary/p/5474/. Bennett, D. (2002). Exploring geometry with Geometer’s Sketchpad. Emeryville, CA: Key Curriculum Press. Burke, M, Erickson, D., Lott, J. W., & Obert, M. (2001). Navigating through algebra in grades 9 – 12 . Reston, VA: National Council of Teachers of Mathematics. Kaput, J. J. (1992). Technology and mathematics education. In D. A. Grouws (Ed. ), Handbook of research on mathematics teaching and learning , (pp. 515 –556). New York: MacMillan Publishing Company. Mathematical Sciences Education Board. (1990). Reshaping school mathematics: A philosophy and framework for curriculum. Washington, DC: National Academy Press. National Center for Education Statistics. (1999). Digest of education statistics 1998. Washington, DC: U.S. Department of Education.